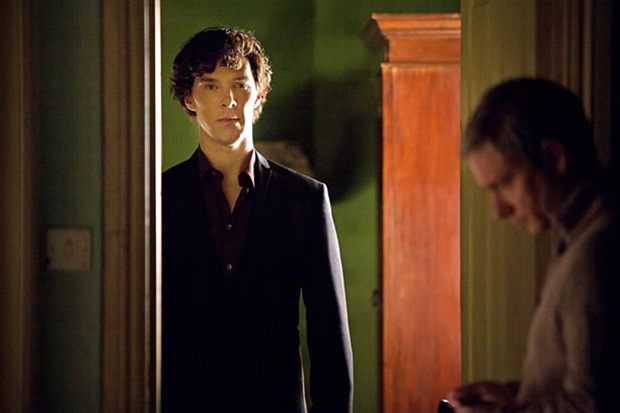 BBC released Sherlock mini-episode titled Many Happy Returns written by Mark Gatiss and Steven Moffat. The seven-minute video offers a sense of what’s been happening to the characters between the second and the third season – a time in which Dr. Watson (Martin Freeman) and Detective Greg Lestrade (Rupert Graves) both believe Holmes (Benedict Cumberbatch) to be dead. But, as we already know, in episode one of the show, Sherlock Holmes is about to rise from the grave with all the theatricality that comes so naturally to him. BBC’s drama Sherlock also stars Mark Gatiss as Mycroft, Una Stubbs as Mrs Hudson, Amanda Abbington as Mary Morstan and Louise Brealey as Molly Hooper. The first 90-minute episode titled The Empty Hearse premieres on New Year’s Day in the U.K. and January 19 in the U.S.
Want to change your avatar? Go to Gravatar.com and upload your own (we'll wait)! Reproduction without explicit permission is prohibited. All right reserved. Photos & certain artwork used on MovieProNews are copyright protected and are the property of their respective owners. & other trademarks used herein are the property of their respective owners. 125 queries. 0.075 seconds.